Most leading psychologists have observed that toys help hone motor and cognitive skills in children. 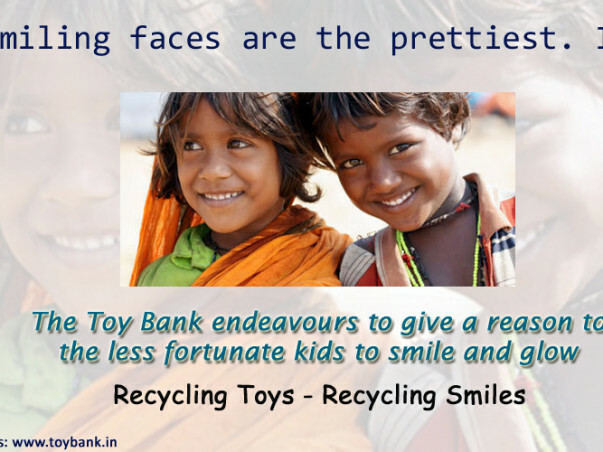 In light of such opinions, we strive to ‘recycle toys, recycle smiles.’ Toy Bank is an endeavour working to brighten the lives of under privileged children all over this country by providing them with invaluable teaching aids that supplement their understanding and development. Toys add the element of ‘fun’ while also effectively imparting the value of sharing, fostering camaraderie and building a community. 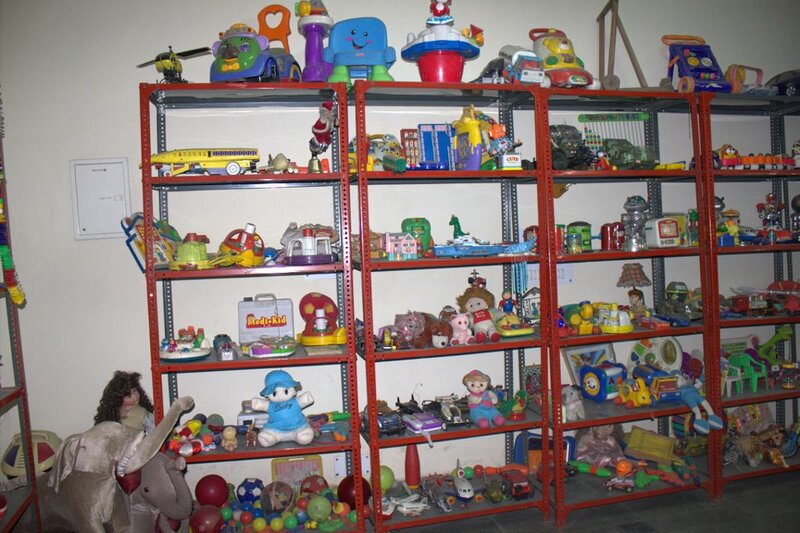 The organisation operates on a simple formula; we collect used/new toys via collection drives and individual donations. These are then sorted according to the demographics of gender, age and finally delivered to areas with little or no access to such resources. Little compares to the unparalleled joy that one receives from making a child happy. As members of a relatively privileged class, we tend to take certain things for granted. Across this country most children below the poverty line do not have access to basic childhood necessities like building blocks or scrabble, games that we probably can’t detach from our experience of growing up. We at Toy Bank, strive to remedy this lack caused due to an ever increasing economic gap by organising collections in various cities to help bring a smile to a child’s face while effectively influencing their development in their formative years. The response so far has been overwhelming. 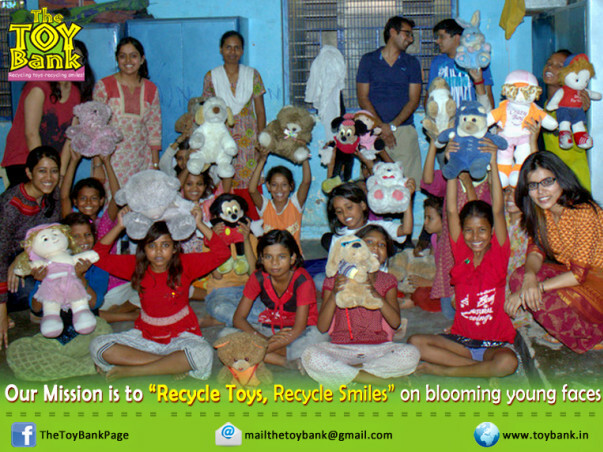 Nearly 5 lakh toys have been collected and distributed across various parts of the country. We now have over 30 centres across the country run by volunteers. Distribution is primarily done through associations with various NGOs/organisation working at the grassroots level. 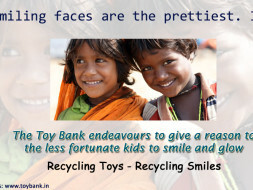 For more information please visit www.toybank.in. The money donated to Toy bank is funnelled into roughly five categories: daily expenses, infrastructure, transport, repairing broken toys and personnel. Daily Expenses: Day to day costs such as printing and stationary usually fall under this category. Infrastructure: The main centres in Bengali market and Pitampura bear most of the infrastructural costs. Transport: The vehicles carrying the toys to and fro from the collection centres to the distribution point constitute the transportation costs. Repairing broken toys: Although we encourage the donation of reusable toys there are times when we have to bear the costs of repairing the broken toys so that by the time they reach the children they are fully functional. Personnel: We have a highly qualified team of dedicated volunteers working at minimum wages who require a basic amount for their daily sustenance. 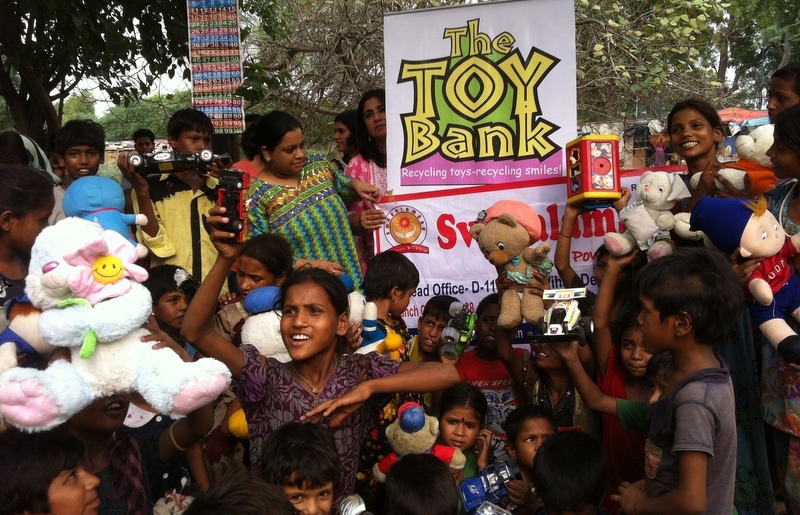 I donated my kids Toys to TOYBANK for a noble cause!